I am of the belief that when it is someone’s birthday, you have to also congratulate their mother. It is a belief I came to many, many years ago and it’s been ingrained into my DNA. My birthday is in grand part a celebration of my mother’s love and efforts. Sadly, per tradition I wear a white carnation in remembrance of my mom. Red is more appropriate as it signals admiration and my broken heart that she is not here today. Nor has she been for some years now. But white it is. While I am saddened by her absence, I am happy for the presence of my son. Because of him I get an awesome hand-made gift, delicious brunch, and a delightful remembrance. I get to celebrate my own mother’s day because he came into this world over 8 years ago. And merrily life has never been the same. He represents all that is good in this world. And each day he brings me great joy. Each night we lie in bed extolling each other’s awesomeness. He tells me I’m the best mommy in the world and I tell him that he’s the best son in the world. We hug and kiss goodnight on such a wonderful, positive note. When my torn knee starts to get super achy, he rubs it believing his touch will definitely make me better. And how could it not? Same way mommy kisses help with with a scraped elbow, baby kisses take all pain away. Thus, on this day, I am thankful for my little man. And also thankful to my mom for all her sacrifices, of which there were many. With that, I wish you all a wonderful Mother’s Day. Happy Mother’s Day to one of my favorite bloggers. Hope your day is blessed. 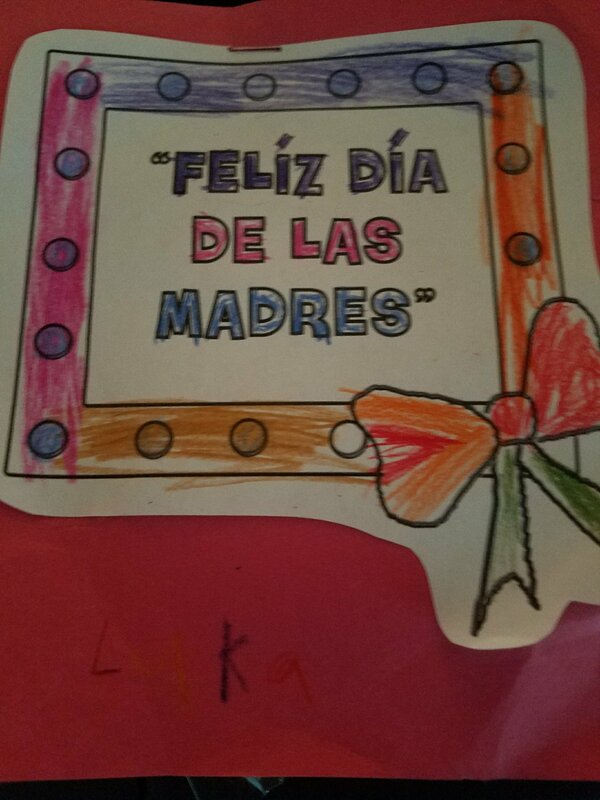 Saw this today – hope you had a great día de las madres. Aww thank you. Yes, I did.